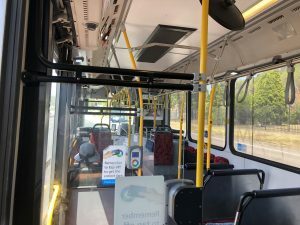 While in town today I spotted the Newcastle Light Rail for the first time, as it conducted driver training. 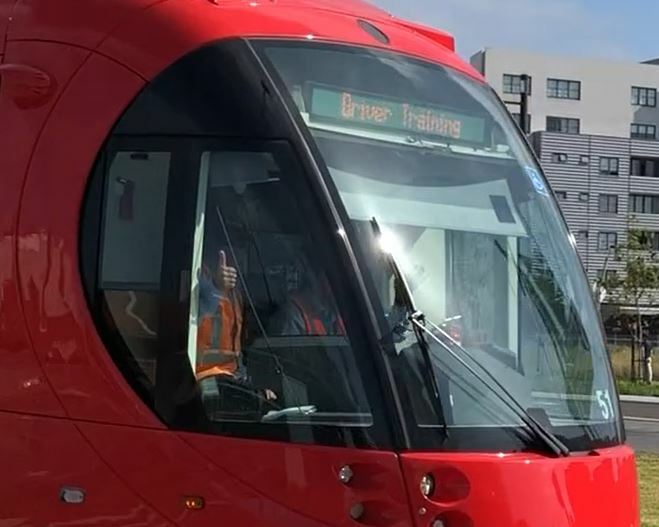 The crew were obviously very happy with the the tram and the training, giving a big thumbs up as the carriage went past. Later in the morning I spotted some tram related stupidity for the first time, as I witnessed a pedestrian who thought it was a good idea to run across the road in front of an approaching tram. I hope the new light rail gets patronised more than the current bus network. For much of my trip home I was the only passenger, until suddenly the number of passengers doubled! This entry was posted in Personal, Urban by Lachlan Wetherall. Bookmark the permalink.